Innovation in climate change adaptation of and mitigation in the rice production systems are in many cases not immediately seen as beneficial from the perspective of farmers and other stakeholders. Adaptation is often achieved by reducing risks of extreme weather events which may not entail any benefit during ‘normal’ years. For mitigation practices, the rationale for uptake is even more elusive because reduced emissions do not present any tangible profit for the farmers. Thus, IRRI’s climate change group gives special emphasis on communicating climate change findings and response strategies with a wide range of stakeholders as well as the public at large. Subtopic F1 (Policy and Gender) is mainly pursued within the ASEAN region where we are actively involved in projects and networks on policy dialogue. Gender research cuts across all our CCAFS projects, but also represents a research topic in the context of the specific characteristics of small-holder rice production in Asia. 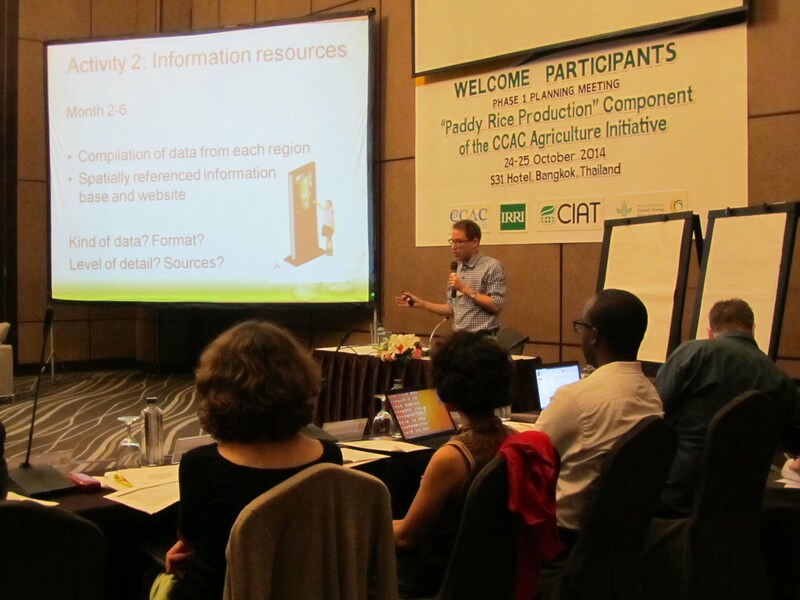 Subtopic F2 (Publications and Media) is closely tied into the respective communication strategies of CCAFS as well as IRRI/ GRiSP. The specific task of our group is to highlight the crucial role of rice production in determining future food security under climate change. Training and Tutorials (Subtopic F3) aim to provide basic understanding and technical know-how on rice and climate change issues. The training is typically aimed at stakeholders (e.g. extension staff) that will later act as multipliers in knowledge transfer (‘Train-the-Trainers’). 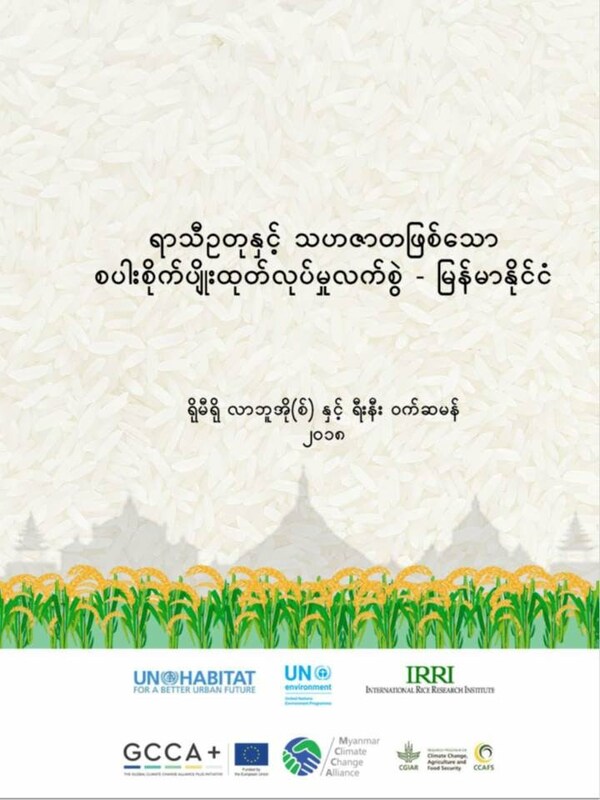 We also publish training materials on the web to reach a wide range of interested people including NARES, academe and students in rice growing countries.